If you are looking for an ideal seating arrangement in your patio, the Evian 6-Seater Set is the perfect situation. 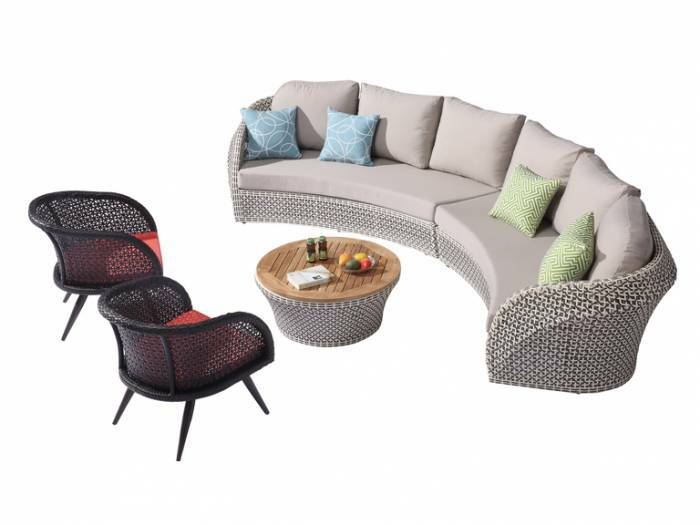 This six-seater sofa unit has been designed skillfully to optimally utilize floor-space. 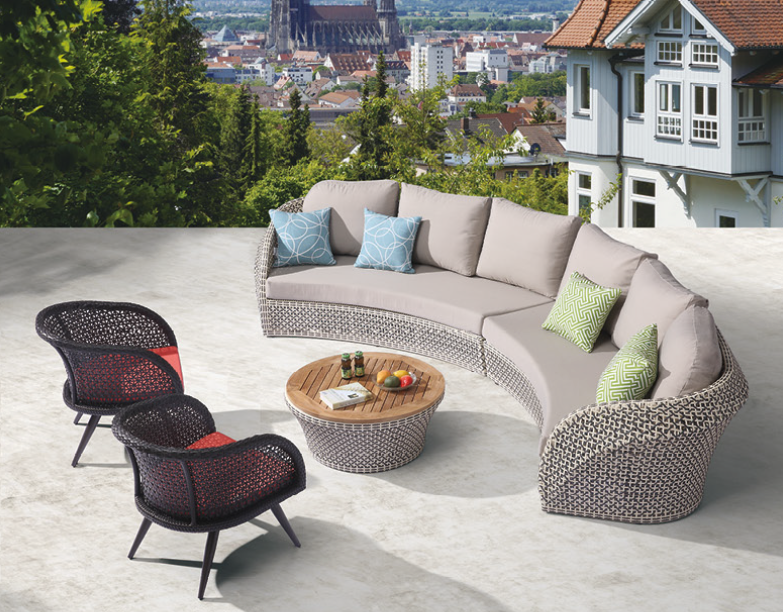 The symmetrical design of the set establishes its unique identity in the outdoor space. 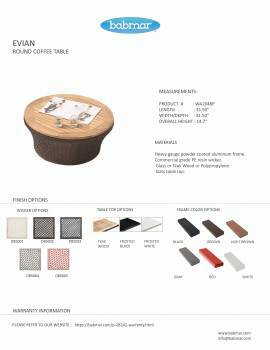 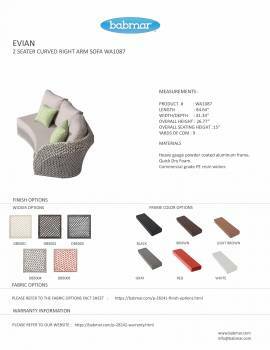 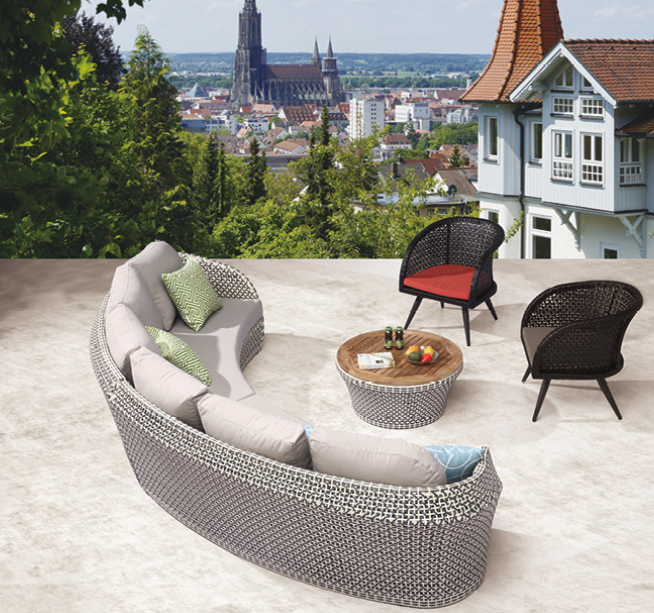 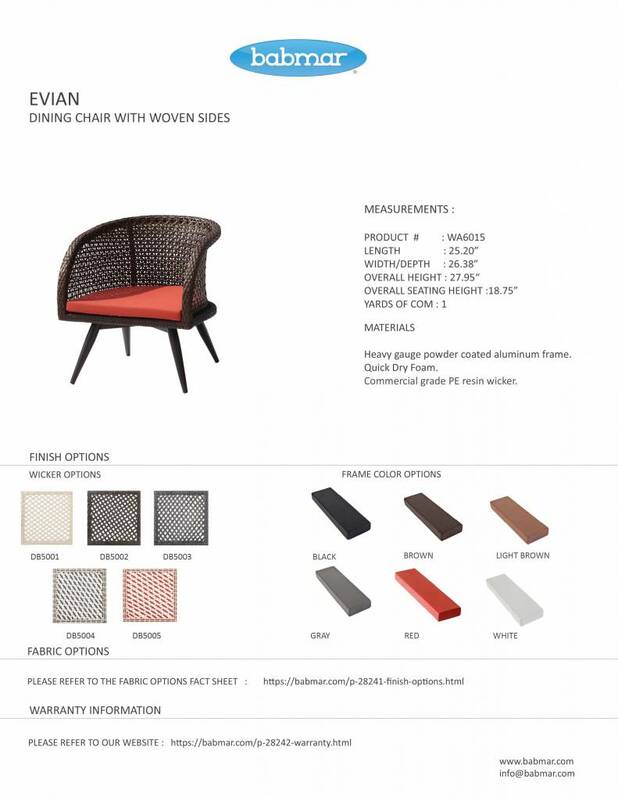 If you wish to add a seating place in your patio, the Evian 6 Seater Set is a great way to do so. This Six-seater sofa unit has been compactly-designed to take minimum floor-space and its symmetrical design will blend well with any setting. 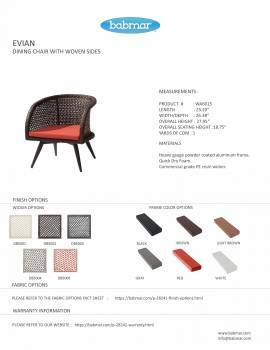 The sturdy aluminum frame combines nicely with the upholstered cushions gracing the seat and the backrest to create its weather-resistant design. The foam and fabric used in this sofa can dry quickly and their color does not fade easily. 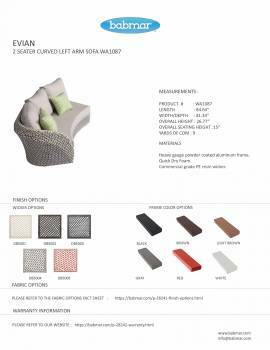 The firm aluminum frame goes nicely with the upholstered cushions. It is weather-resistant and can be cleaned with ease. 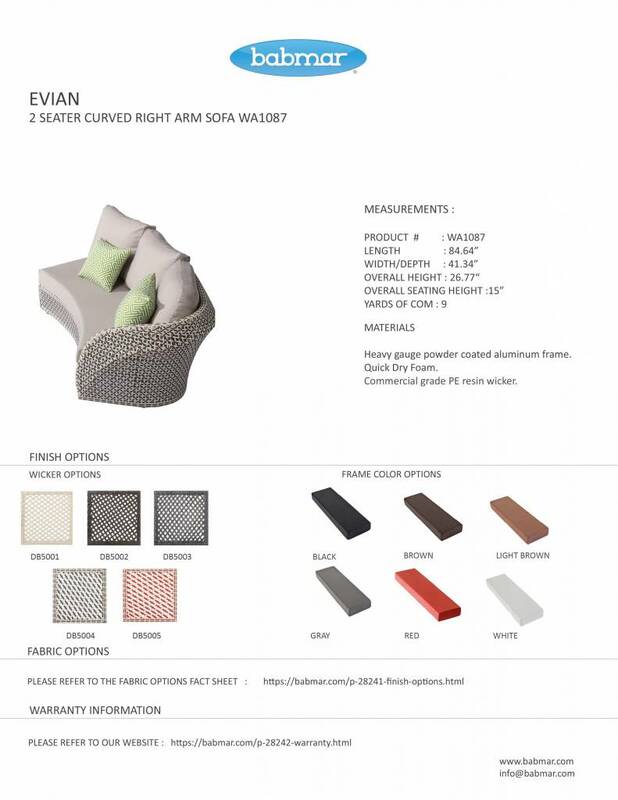 "Customer's Own Material" requirement based on 54” roll: 20 yards.